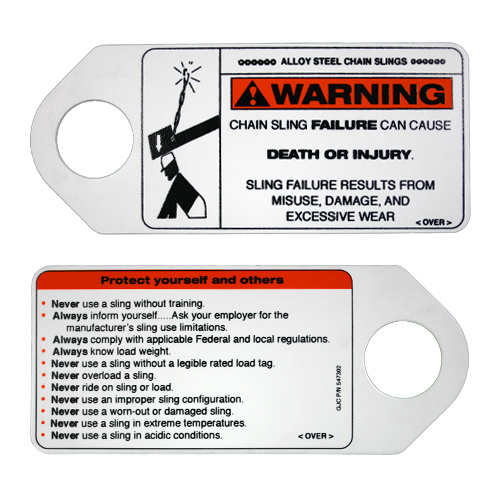 Use this plastic warning tag on lifting slings and hoists. It is full of helpful reminders and visual cues to help your employees appreciate the risks involved with overhead lifting, and encourages them to take extra precautions to ensure safety. The large hole makes it easy to attach to a variety of slings and other overhead lifting equipment.